Spotify and other streaming services have changed how people listen to music. While playlists were once the preserve of the radio DJ, annual compilation albums like Now That’s What I Call Music, or painstakingly put together mixtapes for a crush, now anyone can make one in a few minutes. There’s a knack to putting together a good playlist. You can’t just throw a few somewhat related songs together and call it a day. There’s a reason Spotify, Apple, and Google all pay professionals to do it. If you’ve put together something you’re proud of and want to share with the public—or just send a mixtape to a friend—Spotify makes it easy. Here’s how to do it. Open Spotify and head to the playlist you want to share. Click or tap the three little dots at the top and select Share. This will give you all the sharing options. Here’s how it looks with the desktop app. And here’s how it looks on mobile. 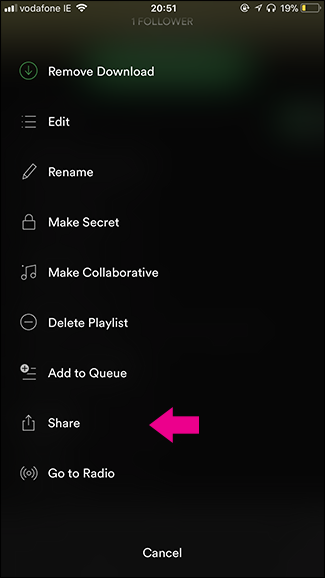 Spotify has a couple of options built in, like sharing over Facebook, Messenger, and Twitter. You can also just select Copy Playlist Link to copy a link to the playlist to your clipboard. 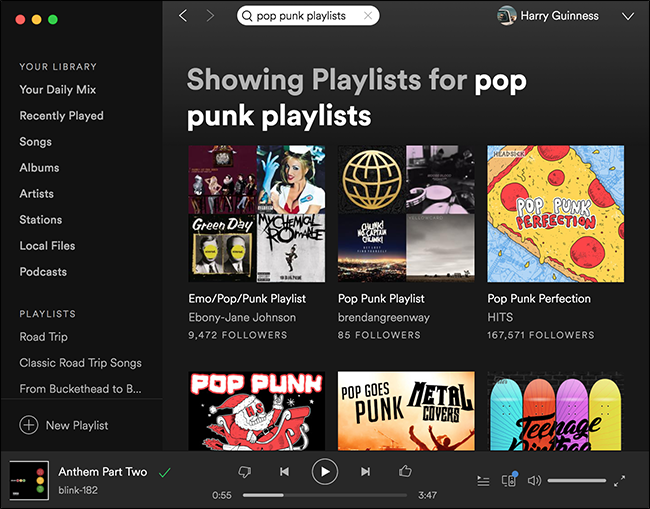 Here’s the link to my Pop Punk Faves playlist. If you click that link, the playlist will open up in a browser window, which your friend can then play in Spotify. 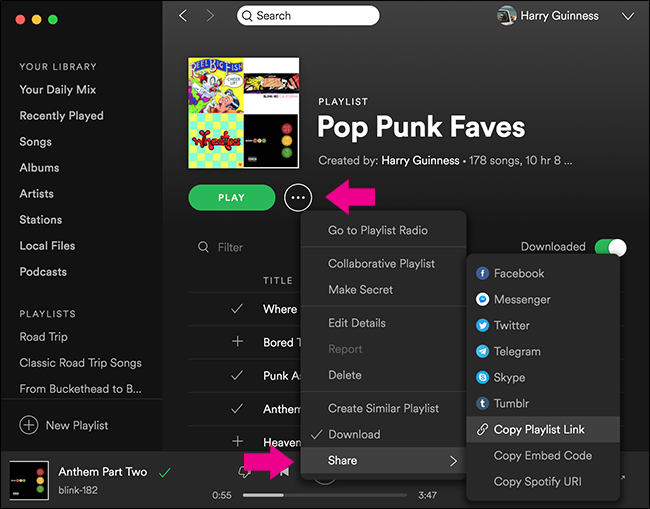 You can share your playlists with as many friends as you like just by sharing the link, or posting it somewhere publicly like your Twitter feed. But if you want strangers to be able to discover it, you need to share it publicly through Spotify. This way, it will show up when people search Spotify. 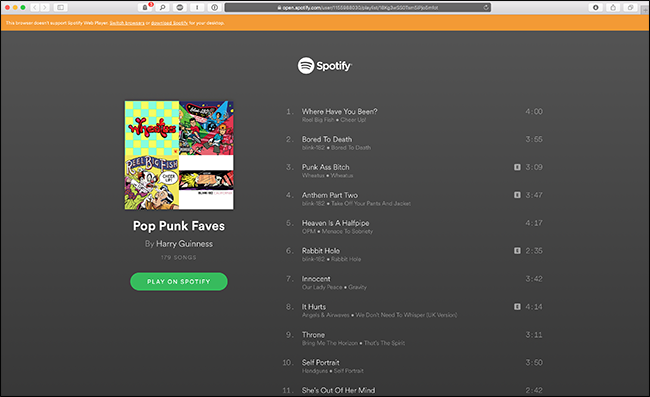 In the screenshot below, you can see I’ve searched for some other pop punk playlists. 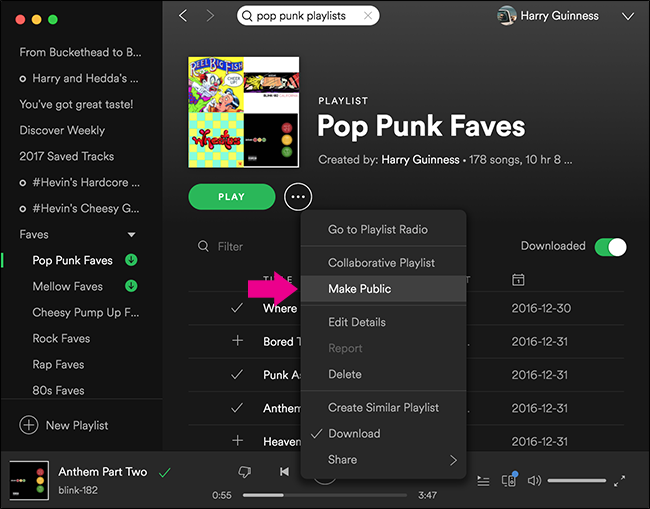 To make a playlist public through Spotify, tap or click the three little dots and select Make Public. Now it will show up in Spotify searches by other users. Spotify’s search function, however, isn’t great. It’s geared towards finding songs and artists, not playlists. 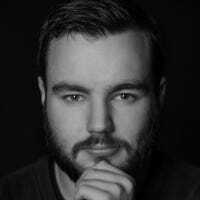 If you really want people to have a chance to find your work, you should post it on a service like Playlists.net as well. 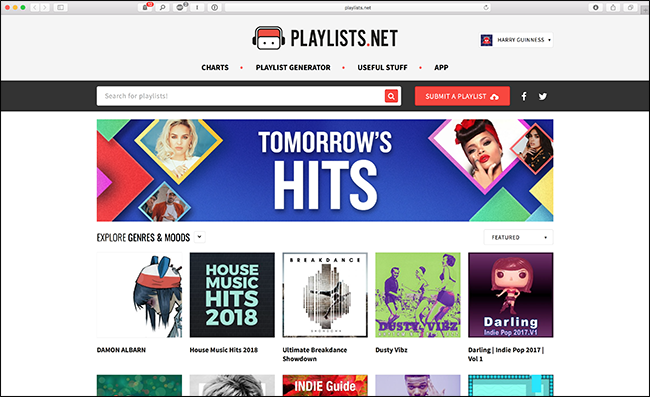 Playlists.net is exactly what it sounds like: a website where people share playlists. Click Submit a Playlist, sign up using your Spotify account, and then select the playlist you want to publish. 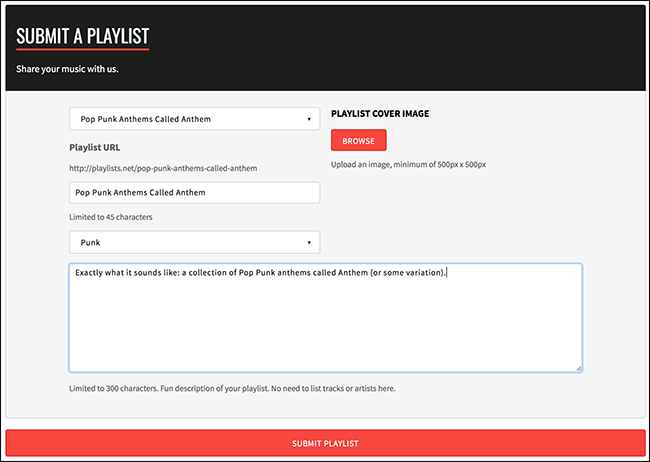 Add a title, genre, description, and header image and then click Submit Playlist. 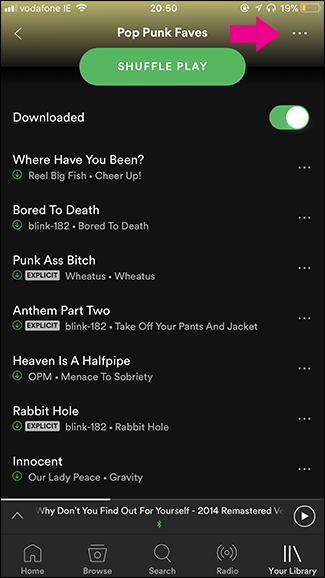 You can find my Pop Punk Anthems Called Anthem playlist here. Playlists are one of Spotify’s top features. I’m a huge fan of both making my own and listening to other people’s. If you want to have even more fun, try collaborating on a playlist with your friends.